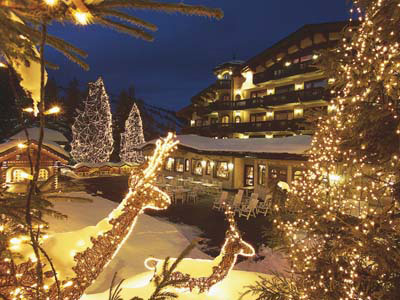 If relaxing in front of real fire enjoying authentic French hospitality after a hard day on some of the best powdery snow this planet has to offer, is your thing, then Courchevel is one in a range of skiing resorts in France that you could choose to visit. However, if you want to enjoy the best that the French Alps has to offer in ultimate luxury at the playground of the rich and famous, then Courchevel could easily be the only place to go. Situated in a partly wooded area, in the heart of the Trois VallÈes, Courchevel is part of the largest known skiing area in the world. Fly directly to the resort’s own International Airport on a private flight or travel into Geneva Airport from most major locations in the US. Arrive by train, bus, car or even from a private helicopter transfer that can give you the first glimpse of this stunning purpose-build luxury ski resort. The full season at Courchevel runs from late November to April, providing some of the best quality snow on a range of awe inspiring trails and slopes. Thanks to the positioning of the village and the high quality snow making facilities available, even when nearby resorts are loosing their snow, Courchevel still have consistent and full cover on a range of impressively groomed amenities effectively extending the ski season. Modern lifts provide access to the huge variety of on and off piste skiing facilities while the specialist Magnestick system has been fitted across the resort to ensure the safety of all children when using the fast ski lifts. Experience a true ski in/ski out experience of the highest quality with direct access to a range of slopes from your accommodation or use the complimentary transport to visit a diverse range of trails further afield. And when you want to experience something a little different, a short ride will take you to the Val Thorens glacier which offers yet another exciting challenge. Boasting the largest ski school in Europe, Courchevel has a range of slopes for the novice and the intermediate and with a range of English-native speakers to ensure there is never be a problem with communication. For the expert skier black groomed slopes and exciting trails surrounding and across Mont Blanc provide a challenge that will exhilarate even the seasoned professional. Provide your foot size and vital statistics before your trip and when you arrive at your accommodation everything you need from boots and ski wear through to skis and passes can be ready and waiting so that you waste no time in hitting the slopes. Don’t worry about baggage allowances and the size of your luggage, pre-book all your supplies before your trip and it will be taken care of. Enjoy housekeeping, chef and minivan chauffeur services to give you as much time as possible to enjoy the snow. With all the essentials including laundry and shopping taken care of, enjoy a level of service that is second to none. 1850 hosts a range of luxury chalets and hotels that offer the most lavish accommodation on the resort. Served by its own gondola to link the range of lifts and pistes, 1850’s variety of shops, entertainment and accommodation make it the accommodation of choice for celebrities and Russian millionaires staying in the French Alps. 1650 is the ideal place to stay for the novice skier. The range of slopes are ideal for improving skills and developing confidence while the variety of elegant chalets provide a beautiful setting. 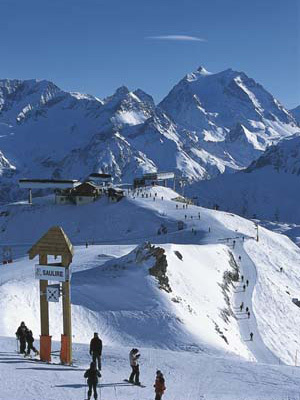 1550 is thequietest of the villages providing access to a variety of slopes that keep every level of skier entertained. 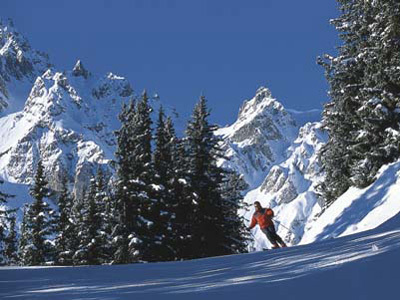 Le Praz is the most economical of accommodation encompassing the original village. 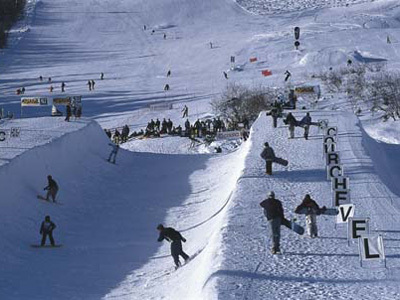 Boasting the Olympic ski jump, Le Praz is a busy village with a friendly atmosphere ideal for groups and families alike.